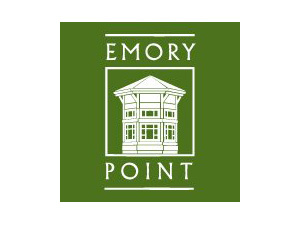 Emory Point, one of the first outdoor lifestyle centers built near Emory University in 20 years, had no official grand opening. As a result, the center and its merchants suffered from low visibility in the community. 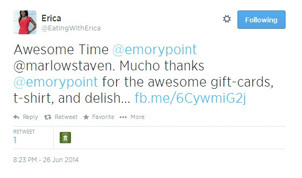 Emory Point turned to communications 21® (c21) to change that. In addition to creating a full-blown marketing PR and interactive program, c21 organized a foodie blogger tour to highlight the restaurants on the pedestrian-friendly property. The c21 team coordinated all merchants, acquisition of blogger gift bag content, the agenda and tour route, merchant demos and contacted and managed the participating bloggers. On event day, c21 checked the bloggers in, provided them with an event hashtag to use, #EPfoodie, and explained the tour details. More than 10 food bloggers participated and posted more than 50 photos and positive comments about each stop and the event itself. The tour resulted in more than four blog stories following the tour. The merchants were pleased with the exposure and saw an increase in local traffic after several posts ran.